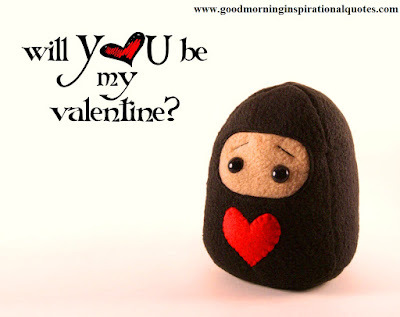 Awesome Valentines Day Quotes and SMS/Wishes : February 14th Morning rises up with a sweet Valentine's gift for your valentine.Is it. What ever it may be worthier or rather cheap or rather costlier.The way you treat the gift for your valentine sounds always lovely. "Love is the happiness of today, and promise of tomorrow, so this warm note comes to U, to say that you must live life with a heart full of love. Happy Valentine's Day my love!" "Happy Valentine's Day to the most special person in my life. You are my love, my heart and my joy." "I love you for not what you are, but what I have become when I am there with you. So be with me forever. Happy Valentine's Day!" "You've always been my sunshine on a cloudy day, my shoulder to cry on and a helpful hand when I needed you. You deserve this special day as a reminder of the impact you've made on my life. Happy Valentine's Day to my one and only." "All I wanted was someone to care for me. All I wanted was someone who would be there for me. All I ever wanted was someone who would be true. All I ever wanted was someone like you. Happy Valentine's Day to my inspiration!"